Home » Blog » Why Responsive Web Design is Good for SEO? Gone are the days when computer used to be the only media to surf the internet. The ever evolving technology has blessed us with a spree of devices which allows us to surf the internet more easily and more effectively too. Responsive website designing is now the buzz word for all the web developers as they have to design the different web pages in such a manner that they can be easily accessed from all the different platforms. Therefore this form of designing is now the contemporary way which is being followed by most of the designers in the globe. Responsive web design is basically reformatting or in simple words converting a website into such a format that it can be accessed from the different devices like – smartphone, tablets, desktop, laptop etc. With the great mass of the population relying much on the devices other than the desktops or laptops to search the internet, it is now sort of a mandate for the web designers to opt for the mode of responsive web designing to regulate the incoming traffic towards the websites. But, when it comes to online marketing, what are the SEO benefits of going responsive? 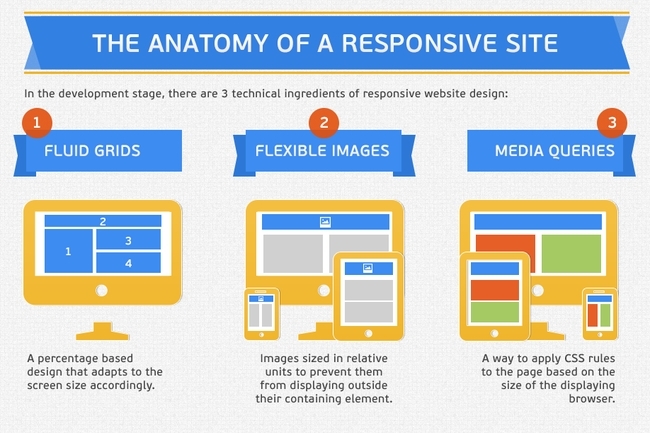 Here’s how responsive web design can help a site to shine in the SERPs. The search giant Google always wants to send it’s searchers to the websites which are useful for them and relevant for their search term. When visitors browse through your website and immediately return to the SERPs, at this point Google makes a note that your site may/might not be relevant for that search term which the visitor typed to get into your site. According to Gomez research in 2012, 46% of consumers are unlikely to return to a mobile site if it didn’t work properly during their last visit. If your site isn’t mobile friendly at all, 61% of your visitors will return to Google to find a site that is easily readable (Karim Temsamani at IABALM 2012). This will result in increased bounce rate and ranking drop in mobile search. The responsive web designing process allows the websites to be absolutely compatible with all the devices through which you can access the internet. Having a mobile responsive website gives you a peace of mind that your site won’t be hit by Panda for having the same content in both desktop, tab or mobile version . In responsive website designing technique, the content is served to the visitors from the same URL in any devices. As per the new mobile ranking strategy designed by Google – it gives special preferences to the sites which are compatible with all devices such as desktop, tablet, mobile etc. With mobile friendly website design when someone links to your main site he apparently links to the mobile version of the website as well. A visitor can easily connect to the main web page from the mobile version website by just clicking on the link which would be provided by the mobile website version. The actually helps (in your SEO) to flow all the link juice to one URL and also provides a brilliant user experience to every visitor. Unlike desktop searches, experts believe local search to be an essential factor of mobile searches on a smartphone. Yes I agree, not all the local searches goes for online shopping. But some do call them directly from the mobile SERPs to do the business. 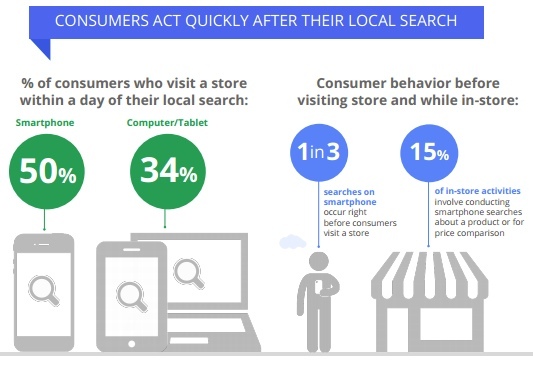 Google’s new study shows local searches lead 50% of mobile users to visit stores. If your site isn’t mobile-friendly them it might suffer from high bounce rate issues for mobile searches. More the bounce rate, more are the chances for the website to have a negative ranking effect. Therefore, if there is a good set of correlation between the desktop version and the mobile version of the website, you can easily expect a good rank of your web page. Here are some additional tips to decrease your bounce rate. “In general, I wouldn’t worry about a site that is using responsive design losing SEO benefits because by definition you’ve got the same URL,” Cutts said. “So in theory, if you do a mobile version of the site, if you don’t handle that well and you don’t do the and all those sorts of things, then you might, in theory, divide the PageRank between those two pages. But if you have responsive design then everything is handled from one URL, so the Page Rank doesn’t get divided, everything works fine. Here is some additional read on SEO friendly URL structure. If you already have a mobile website then consider converting that to a responsive design so that it’s optimized for all other devices. But before you start doing that, there are quite a few aspects that need to be taken care of in order to ensure that your visitors get the same design, content of your website in whatsoever platform he wishes to check it. While designing a website, you should be utilizing optimized images which can be easily loaded on all the devices from desktop, tablet & mobile version of the site. According to research by Gomez. 74% of mobile users will leave after 5 seconds waiting for a page to load. So make sure that you compress your images as much as possible. There are plenty of software’ which are available on the web with the help of which you can easily compress or compact the various images. Yahoo Smush it is one of the most common software which is used as a compacting image tool. If you are more concerned about speeding up your website, then here are 11 best ways you can do that. Start with the screen small first, then expand until it looks like sh*t. Time to insert a breakpoint! The mobile friendly website designs also keep the content intact for all its versions in different devices. The only difference which you might see is in the advertisement part (which users probably didn’t want in the first place) and a bit of difference would be experienced in the navigation part,(which is replaced by a simpler version of navigation) apart from that everything is kept intact. It is always advised not to alter the content of the website on even any lighter edition of the web page. It is an important aspect to design the website with complete touch optimization as nowadays every device – from a personal computer to a smart watch, every device comes with a touch screen, so it is always advised to design the website with complete touch optimization. But beware of the fact that you can’t hover with the mouse in most of the smart devices such as mobile, tablet or smart watches which you can easily do on your PC or laptop. It is a mandatory thing that the web page needs to be tested in each and every browser. Here are the browsers you’ve got. The responsive web design will allow the web page owner to pull the modern web users through the smart devices and will help him or her to be a step ahead of his worthy competitors. Have you already switched to a responsive web design? Any advice for those who haven’t? We all know that design of any blog is really important. Not only from the SEO point of you but also from readers. Your readers want to visit the blog which can attract them. You need to take care about the widgets, your header and many more things. Google bots also prefer the website with great CSS. Design matter them for a lot. Google shows the websites to it’s viewers which are best in their field. I absolutely agree with you it’s all about making your site better for your readers. It’s UX that matters the most. Informative Post 🙂 As we know Responsive webdesign means that the website is designed for mobile users. A responsive web site design makes it easier for your readers or visitor to see view of your blog/website from their tablet or smartphone and responsive design have one URL and the same HTMLs so it’s more easier for search engines to crawl and index. You pointed it out correctly RWD makes life easier for everyone 🙂 For the users who visit your site from a mobile or tablet, you don’t have to add a bunch of extra codes for redirecting smartphone users to the mobile version or spend money on creating an app. It is an informative post indeed! As you describe about responsive design. It’s good for seo and the reason, I am using Responsive WordPress theme for my 3 sites. Hey Areesha, so glad that you enjoyed this post! Surely UX is one of the most important factor as Derek Halpern pointed it out right that “Design is the King” backed up by research. It great that you are using responsive theme an your blogs! What a great informative post! I learned the hard way that I needed a responsive web design. Months ago I was going with a blog that was 4 years old…so was the theme. Now you can just imagine how slow and inefficient that was. It was not until someone pointed out to me that they couldn’t read it well on their phone that I had to make a move fast. I hired someone to do my entire blog so that the theme worked, the load time was fast, and it was compatible on phones. It was a lesson I’ll never forget! Thank you soo much Donna for sharing your experience with us. I guess this must help those people who are still undecided to go for RWD or not. Glad you liked this post 🙂 Hope to see you around! SEO and PPC are two individual processes that have overlapping topics such as design and usability, navigability and content. When these topics are dressed in a combine manner, a stronger and more complete marketing method is born. Overall, the field of search engine marketing is enhanced when the key processes of SEO and PPC work hand-in-hand to create a stronger form of search engine marketing. This post is very impressive. Responsive website is the current trend in web design and also more favored by people. Responsive sites are also Google friendly hence the SEO becomes good for it. Thanks Rabia! Glad you enjoyed the article 🙂 Let me know if I can help you with anything. I know the importance of responsive design because I lost lot of traffic when using simple theme. You wrote really a nice post here. Thanks for discussing here. Saha you nailed it! really helpful for the SEOs. Being an SEO expert even i believe that responsive website are SEO Friendly . good going ! You said truly right because it runs and opens properly on mobile. If we don’t use responsive then lose mobile traffic. This is very nice and informative post. Usability and local rank are the main factors according to me. yes you are right Saha, Now a days its really important to have a responsive web site. Not only for SEO wise, as because technologies improving day by day and screen resolutions changes every time. Responsive Websites are necessary for long time, as a business way one of the efficient to make a responsive website than to get positive result and more traffic on that website. Thanks for sharing and great article or enjoyed to reading this article to much. Responsive Website Design puts too much focus on mobile users while ignoring the fact that it may inconvenience desktop users. Regardless though, the mobile market is growing steadily, and more and more people are owning smart phones, which is why most webmasters need to play their cards right. Thanks for shared an impressive and interesting information or enjoyed to read! Every one wants to know the benefit of any new change, especially for their industry. After reading this post, we can get conclusion that, the Responsive design will help in content duplicity issue for most. Also you don’t have to do separate promotion for mobile site and desktop site. Even Google will give special preference to mobile friendly responsive website in their mobile search. So, at the end, Responsive design is really beneficial. I am a big fan of responsive not only for SEO but also for the cost. You don’t have to design and pay for multiple versions of your site. Granted there are times she a mobile site is required however for most personal and small business sites responsive makes the most sense. Thanks for getting more information, thanks for shared and enjoyed to reading this post. Great article! Thank’s for sharing! Without the mobile version of the site it is really very difficult to get a good positions in Google.